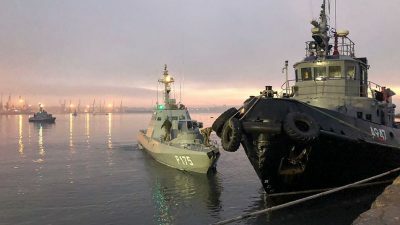 Seemingly out of nowhere, Ukraine nearly declared war on Russia over the weekend after a confrontation in the Kerch Strait, which straddles Crimea and the Russian mainland, between Ukrainian naval boats and Russian authorities that resulted in Russia seizing three Ukrainian navy vessels and 24 Ukrainian sailors. Whitney Webb is a staff writer for MintPress News and a contributor to Ben Swann’s Truth in Media. Her work has appeared on Global Research, the Ron Paul Institute and 21st Century Wire, among others. She has also made radio and TV appearances on RT and Sputnik. She currently lives with her family in southern Chile. She is a frequent contributor to Global Research.